The London office of Akin Gump Strauss Hauer & Feld has recorded a 28% revenue hike to $123.5m. The City results, with revenue up from $96.2m, mark a blistering year on the back of a swathe of big-ticket transactions in the financial restructuring space and stand out against the more muted firm-wide revenue uptick of 3% from $1.04bn to $1.07bn. Profit per partner (PEP) was flat at £2.4m compared with $2.38m the previous year and revenue per lawyer was unchanged at $1.21m. The City office, which is made up of 26 equity partners and 110 lawyers, is now responsible for generating 12% of firm-wide revenue. The resurgence for London is something of a fillip after last year’s 9% revenue rise, which came on the back of a 4% dip in turnover to $87.9m in 2016. 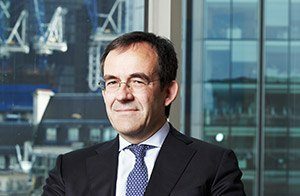 Financial restructuring partner James Roome told Legal Business that standout matters for the firm included roles on the $3.5bn restructuring of bond and bank debt underpinning Noble Group and the ongoing work in relation to the restructuring of UK construction plc Interserve. Sebastian Rice, corporate partner in charge of the London office, points to the lateral hires of energy partner Julian Nichol from Bracewell in March 2018 and that of financial restructuring partner Thomas O’Connor from Morgan Lewis in October 2018. Akin Gump’s City results follow strong performances in London from other US firms. White & Case’s London revenue rose 7% to $350m as firm-wide revenue broke $2bn and Milbank Tweed Hadley & McCloy recorded a 25% increase in London revenue, to $156m. Elsewhere, revenue for Goodwin Procter’s London office grew 58%, while King & Spalding was up 12%. Heavyweight litigator Ilya Rybalkin and corporate veteran Suren Gortsunyan have launched Rybalkin, Gortsunyan & Partners (RGP) alongside 11 associates, counsel and paralegals from the US firm – a team which claims to have been involved in transactions cumulatively worth over $80bn. 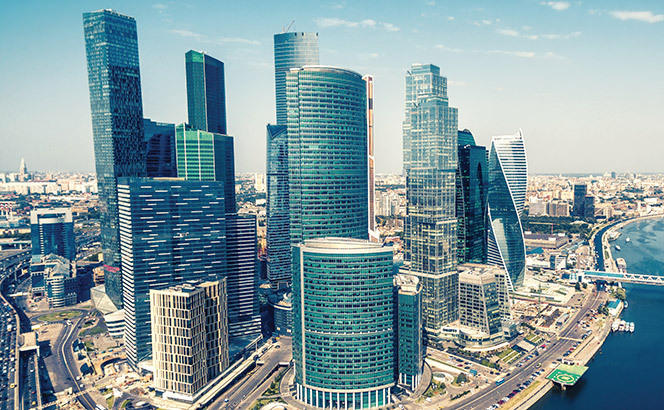 The move comes as growing tensions between Russia and the West and US sanctions against leading Russian business owners are increasingly hindering western firms from servicing Moscow clients. 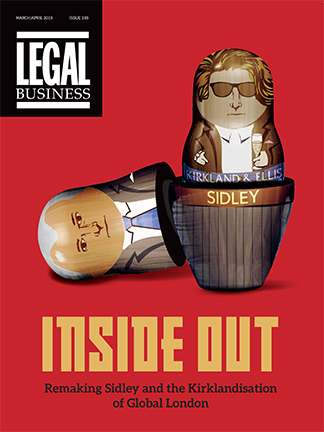 ‘A team spin-off of this calibre and scale from a leading international firm is unprecedented in the Russian legal market,’ said Rybalkin, who was one of the top earners at legacy Hogan & Hartson before quitting shortly after its 2010 merger with Lovells and is credited with building up Akin Gump’s key Russian dispute resolution and investigations practice. His clients included investment group Renova, whose owner Viktor Vekselberg was included in the latest US sanctions on 6 April and who saw billions of dollars in foreign assets frozen. The sanction regime also prevents US firms from supporting individuals included in the lists, a clear issue for western law firms with a large Russian client base. ‘At a time when sanctions and other geopolitical measures are distracting law firms from their main goal of serving clients, we expect to attract further senior lawyers from international law firms, added Rybalkin. Alongside Rybalkin and fellow Hogan Lovells alumni Gortsunyan, former Akin Gump counsel Oleg Isaev will also start as partner at the new firm, which aims to have at least 15 fee-earners by the end of the year. RGP will work with Akin Gump on a non-exclusive basis, including on current matters. Akin Gump’s Moscow office is now left with 18 lawyers. Sebastian Rice, partner in charge of Akin Gump’s firm’s London office, said that the move will allow the team ‘to continue to support a number of established client relationships which would be impossible for Akin Gump to serve in the current international regulatory environment’. Once regarded as the western legal elite’s El Dorado, international firms have been on the slide in Russia since the invasion of Crimea in 2014, which prompted the US and EU to publish subsequent lists of sanctioned Kremlin-linked oligarchs and plunged the local economy into financial crisis. The Russian operations of international firms has been under increased scrutiny lately, with Britain’s foreign affairs select committee criticising Linklaters for its role in the $1.5bn IPO of energy company En+, owned by sanctioned oligarch Oleg Deripaska. Meanwhile, even New York firms like Cleary Gottlieb Steen & Hamilton and Skadden Arps Meagher & Flom, which built a substantial part of their business on Russian clients, have scaled down their local presence since 2014. Akin Gump has increased trainee salaries by 12% and 8% for first and second years respectively, with the group representing the first trainees the US firm has taken on, while its newly qualified (NQ) pay remained static this financial year. The trainees, who are set to qualify this autumn, are Akin’s only trainee intake and were formed when it took over Bingham McCutchen’s London office in 2015. Despite only starting a trainee programme in 2015, Akin is raising incoming first-year trainee pay from £43,000 to £48,000, and second-year salaries from £48,000 to £52,000. The US firm’s first-year pay packets are also competitive, equal to that of Cleary Gottlieb Steen & Hamilton, and only trumped by Debevoise & Plimpton at £50,000, according to Lex100. NQ pay at the firm remains £112,500 at current exchange rates. The firm last increased NQ remuneration levels in September 2016 from £100,000. This, however, remains one of the most competitive NQ rates on the market, with peers such as Jones Day last week announcing an increase of up to £100,000, while Skadden, Arps, Slate, Meagher & Flom pays NQs up to £118,000, according to Lex100. The firm has up to four trainee places available for its next intake in 2019, receiving around 300 applications per year, and the salary increases will be effective from September 2017. 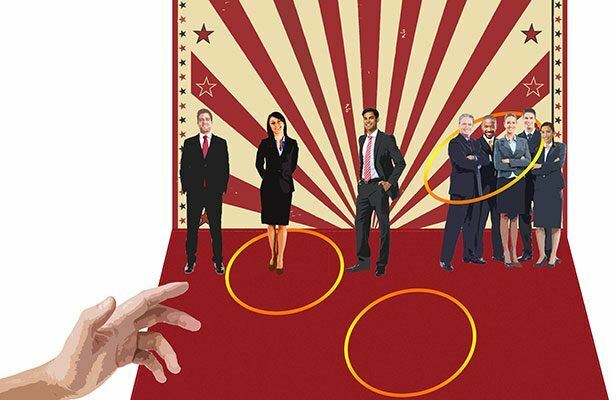 Akin’s director of international legal recruiting and development in London Victoria Widdows said trainees at Akin ‘quickly become an integral part of the London office and we want to ensure that salaries are reflective of this at the top end of the market, as is the case with our NQ salaries’. US restructuring and energy leader Akin Gump Strauss Hauer & Feld piled $50m on to its top line in 2016 to take revenues to just under $1bn, despite a slide in City income. While revenue for the 2016 year hit $980m, up 5.3% on its 2015 tally of $930m, the law firm’s City arm saw its local income fall from $91.4m to $87.9m. The Texas-bred practice dramatically upgraded its City practice in late 2014 when it absorbed the bulk of Bingham McCutchen’s City arm, shipping in a 22-partner team to double the size of its London practice. The firm-wide increase in revenue has been accompanied by a rise in profit per equity partner (PEP), up from $1.9m in 2015 to $2.1m this year, with revenue per lawyer remaining broadly static. Akin Gump’s London co-head, Sebastian Rice, told Legal Business that a run of marquee restructuring jobs through 2015 accounted for the comparative 2016 dip in City income. At the end of 2015, Akin Gump’s restructuring team headed by James Roome (pictured), concluded a major case involving three former Icelandic banks: Kaupthing, Landsbanki and Glitnir. The team represented holders of $33bn in bonds following the collapse of the banks. 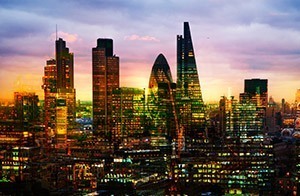 In terms of key City appointments in the past year, Akin Gump hired arbitration partner Hamish Lal from Jones Day, corporate partner Igor Krivoshekov from Dentons and trade partner Jasper Helder from Baker McKenzie. Addleshaw Goddard litigator Kambiz Larizadeh is set to arrive next month, becoming the firm’s 37th partner in London. The results come as US law firms begin releasing annual financial results, indicating how the world’s largest legal market fared in the 2016 year. While Weil Gotshal & Manges has just confirmed a robust performance in 2016, its New York peer Cadwalader, Wickersham & Taft this week said that turnover dropped 2.5% to $452m in 2016, against $463.5m the previous year. PEP increased 2.7% to $2.1m, while overall headcount fell 2.2% to 438. The shrinking revenue coincides with the closure by Cadwalader of its offices in Beijing and Hong Kong, which was announced in the autumn, with the firm also set to shut its Houston arm as it refocus its efforts on its core Wall Street financial client base. In a busier week for laterals, US firms Akin Gump Strauss Hauer & Feld and Mayer Brown strengthened their London benches, while several UK firms including Shepherd and Wedderburn, Clyde & Co and Ince & Co target growth in Scotland, China and Singapore, respectively. Akin Gump announced Jasper Helder as the latest addition to its City office. Specialising in international trade and corporate compliance matters, he joins Akin Gump from Baker & McKenzie where he headed their EUMEA trade and commerce practice. 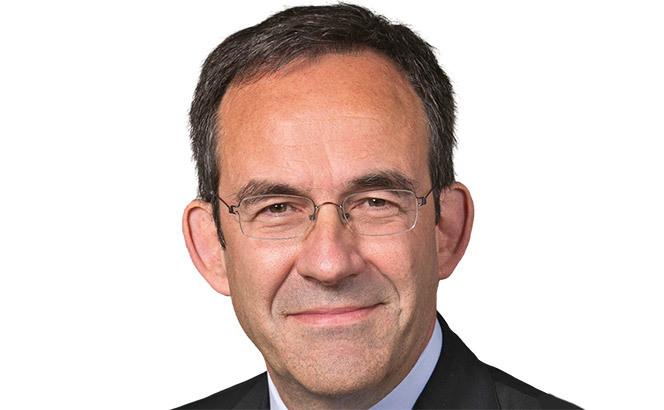 He has particular experience in Russia and the Middle East advising on EU and UN sanctions compliance for Iran, Russia and Syria. Also in London, Mayer Brown hired Jay Doraisamy from Dentons as a partner in the pensions practice. Before Dentons, she was the head of London pensions at Eversheds and her 22 years’ experience includes funding, benefit redesign projects, scheme closures and amendments, and defined benefit/contribution schemes across sectors such as energy, banking, transport, chemicals, manufacturing and water. Meanwhile, UK firm Shepherd and Wedderburn grew in Scotland this week through acquiring north-east boutique firm The Commercial Law Practice (CLP) and with it partners Mike Anderson and Keir Willox who will join Shepherd and Wedderburn in Aberdeen, and Ma’aruf Razzak who will become a director. The firm re-entered the Aberdeen market earlier this year hiring John Rutherford, previously at Pinsent Masons and former managing partner of Mackinnons Charles Scott. Also expanding internationally, Clyde & Co’s joint law venture (JLV) in China, Clyde & Co Westlink, appointed new corporate and M&A partner Yang Liu from HaoLiWen Partners. Alongside corporate transactions, Liu also has experience in shipping, international trade and logistics. Also in Asia, UK law firm Ince & Co this week added Nicholas Lum to its benches, to lead the firm’s China practice in Singapore. He joins the team as a disputes partner in shipping and international trade from Oon & Bazul. 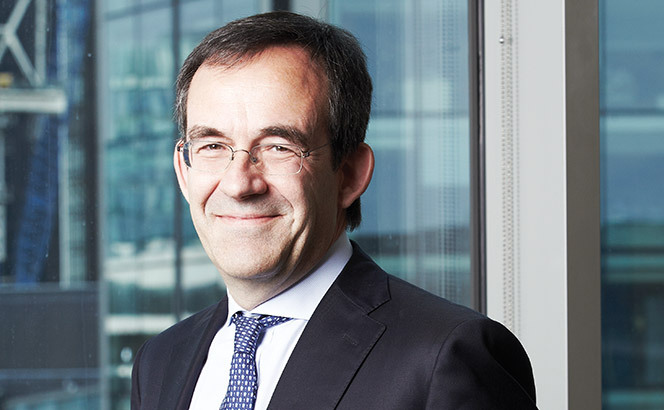 Recognised by The Legal 500, he focuses on international trade and commodities, shipping and shipbuilding and general commercial disputes. His appointment follows Ince’s recent expansion, with a total of 22 new partners globally in the last 18 months, including 12 new hires.